After a nationwide search, Kiama councillors have chosen an internal candidate, Kerry McMurray, to replace General Manager Michael Forsyth when he retires on 6 April after 17 years in the top job. “I congratulate Kerry on his selection and look forward to working with him,” says Mayor Mark Honey. “While at Kiama Council he had been responsible for a broad range of services, including financial and administrative services, Council’s Leisure Centre, holiday parks and tourism. “He has shown sound financial management and process improvement to ensure Council services are efficiently and effectively delivered. 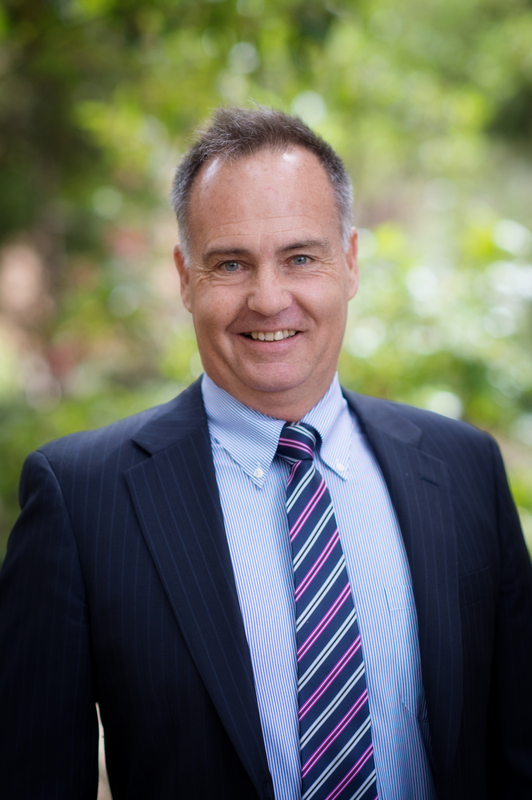 Mr McMurray joined Kiama Council as Director of Finance, Corporate and Commercial Services in January 2016, shortly after the proposal to merge Kiama and Shoalhaven councils was announced. “I signed my contract a week before the announcement, and couldn’t believe that a merger was being considered,” he says. Ironically, the council he was working for at that time, to help it avoid amalgamation, was spared in the announcement. He was able to take that experience of working to save a council and use it to help mount the case for Kiama staying independent. He played a pivotal role in ensuring that Council met, and continues to meet, its Fit for the Future targets. “Through the merger experience, I not only gained a strong understanding of every aspect of the organisation, but was blown away by the level of community support and engagement,” he says. He has become a familiar figure at community meetings, including doing presentations to precinct meetings on the recent rate rise. His hands-on style was shown last New Year’s Eve, when he donned a hi-viz vest for the night to help ensure the new format went smoothly. Mr McMurray says that since the merger debate, he senses a change in the relationship between Council and the community. “The community has increased its level of expectation and are looking to be more empowered rather than being involved by the traditional notification and engagement process,” he says. These expectations often do not take into account the legislative constraints on what councils can, must and can’t do. “I expect to spend a fair bit of time in the next twelve months talking to community groups and understanding what they see as the big issues and what their expectations are. Then I’ll be working with them to reach agreement on what can and can’t be managed. Mr McMurray has spent his career in local government, starting as a cadet with Baukham Hills Council, which he credits as giving him a firm grasp of all areas of council operations. He soon found his niche in finance and corporate strategy, and has since worked for nine councils including in GM roles. His focus on organisational development and systems improvement has been evident from the time he arrived at Council. He is a firm believer in involving staff at all levels in improving systems. “It has got to be part of our culture to be constantly improving. To this end various departments are already working through their processes from the user’s perspective. Asked what made him apply for the job, Mr McMurray says, “The organisation has so much potential. It has delivered high quality services for a long period of time, so imagine what we can achieve by doing things better. “The other thing that attracted me to the role was the staff. The staff here have a pride in delivering services to the community. As part of this push, Mr McMurray championed an organisation wide uncovering of the values underpinning its culture: Respect, Integrity, Innovation, Teamwork and Excellence. “There wouldn’t be a member of staff who isn’t aware of these values and their importance to the way we work,” he says. During the two years he has been with Council, his already broad areas of responsibility have expanded to include community services (which takes in areas such as the Library and community development). It is as yet unclear as to whether this structure will continue when recruiting his replacement. Mr McMurray and his partner plan to move down to live in Kiama (from The Shire) as part of his commitment to his new role. “I think it is important for a council of this size that the General Manager lives and breathes the community,” he says. His son and daughter are at school and university in Canberra. During his time at Council, Mr McMurray quickly developed a reputation for getting things done. “I do like to get things done, but I also like to take my time so that once a decision is made it is a sustainable one. “I don’t like rework and I don’t like non-value adding work. I’d rather have staff spend more time getting it right the first time. With the generational change in top management over the last few years, Mr McMurray is well aware that over the next 5-8 years Council will see 25-30% of its staff leave as babyboomers reach retirement age. He is also committed to documenting processes, so that the corporate knowledge isn’t lost along the way. Outgoing General Manager Michael Forsyth has also congratulated Mr McMurray on his selection. “Kerry has been an important part of our executive during what has been a very challenging time for the Municipality.